Lord Denning once said - "The House of Commons starts its proceedings with a prayer. The chaplain looks at the assembled members with their varied intelligence and then prays for the country." The practice of beginning a sitting with a prayer continues: see what Parliament's website says about it - Prayers. Parliament's website also reminds us that "Lords Spiritual" have their place in the House of Lords and see Bishops in the House of Lords. Furthermore, the Queen's Speech in 2010 ended by Her Majesty saying - "My Lords and Members of the House of Commons - I pray that the blessing of Almighty God may rest upon your counsels." 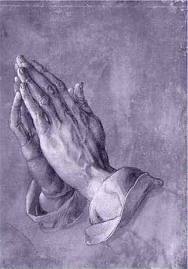 Many Local Authority Councils have had a practice of commencing Council meetings with a prayer. 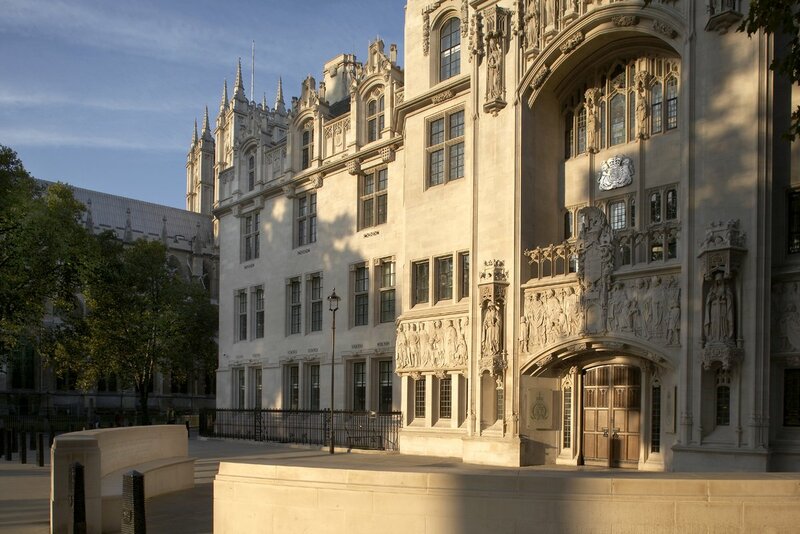 The High Court has now held that they have no legal power to make prayers a part of the formal business of a meeting - see R (National Secular Society and Mr Clive Bone) v Bideford Town Council  EWHC 175 Admin (Ouseley J). Mr Bone was a former Councillor who had tried on two occasions to get the Council to stop their practice of commencing a Council meeting with a prayer. Both times, the Council had voted against him. The Secular Society campaigns "from a non-religious perspective for the separation of religion and state and promote secularism as the best means to create a society in which people of all religions or none can live together fairly and cohesively." Mr Bone became a claimant because the secular society was not a "victim" for the purposes of the European Convention on Human Rights and part of the Society's case involved questions of human rights. a straightforward example of judicial review. Does the public body have legal power to do what it is either doing or proposing to do. Public bodies may only do things for which they have specific authority in law. This is the principle known to lawyers as "vires" (powers) and something which is beyond the powers of the body is referred to as "ultra vires." "Without prejudice to any powers exercisable apart from this section but subject to the provisions of this Act and any other enactment passed before or after this Act, a local authority shall have power to do any thing (whether or not involving the expenditure, borrowing or lending of money or the acquisition or disposal of any property or rights) which is calculated to facilitate, or is conducive or incidental to, the discharge of any of their functions." Quite simply, Ouseley J held that the holding of prayers was not calculated to facilitate, or conducive or incidental to, the discharge of any of the Council's functions and was not therefore within the Council's legal powers. The learned judge dealt also with arguments relating to the Equality Acts 2006 and 2010 and the European Convention on Human Rights Articles 9 and 14. However, he dealt with these on the basis that holding prayers was permitted by section 111. As a post on the UK Human Rights blog says - "Since he found the practice unlawful under the Local Government Act, the arguments under the Equality Act and the Human Rights Act necessarily fell by the wayside, although he gave them careful consideration on the hypothetical basis that prayers were within the purview of Section 111." This decision raises, albeit indirectly, other questions. For example, if we were to have an entirely secular legal system then the practice of religious oaths would have to be abolished. "Sworn evidence" is taken from witnesses after they have been "sworn" by either a religious oath or an affirmation. The modern law is governed by the Oaths Act 1978. As long ago as 1960, the barrister CGL Du Cann argued against the use of religious oaths in legal proceedings ("Miscarriages of Justice" - pub. Frederick Muller Ltd, 1960 - Chapter 3). Du Cann's book is interesting even if the writing style now appears to be very old-fashioned. Many of the reforms for which he cogently argued have been introduced. Would not a simple affirmation to be truthful - perhaps coupled with a suitable warning against perjury - suffice? Lord Justice Auld certainly thought so in his Review of the Criminal Courts of England and Wales - 2001 - Chapter 11 paras. 190-194. Auld recommended replacement of the witness' oath by a simple promise to tell the truth. Herald Scotland - "A single oath in court for all, regardless of belief or religion" - 26th December 2011. Secular Society - "What's wrong with prayers at Council meetings?" The Lawyer 10th February - "Please can we stop religious oaths in the legal process?" It is interesting to speculate as to what the position will be when section 1 of the Localism Act 2011 comes into force. This section purports to give local authorities a "general power of competence." However, at this time, I merely note that Eric Pickles (Communities Secretary) has said - "The Localism Act now gives councils a general power of competence - which allows them to undertake any general action that an individual could do unless it is specifically prohibited by law. Logically, this includes prayers before meetings" - see Telegraph 10th February Councils 'should have right to say prayers', says Eric Pickles. Section 1 appears well capable of producing much litigation - we shall have to wait and see. Addendum 17th February: Bideford Town Council are intending to appeal this decision. Prayers are not part of the formal meeting of my Council or on the agenda. I intend to continue inviting councillors and members of the public, who wish, to join me in a few moments of quite prayer or contemplation; before I formally start the meeting as Mayor. Of course if the Church believed in Matthew 6:6, this issue would never have arisen. the thought of eric pickles would make me fall to my knees in prayer too. PEOPLE HAVE TO MUCH TIME ON THEIR HANDS SO THEY GET SOMETHING. Point of order - section 2 of the Localism Act states that "If exercise of a pre-commencement power of a local authority is subject to restrictions, those restrictions apply also to exercise of the general power so far as it is overlapped by the pre-commencement power." In other words the "general power" granted does not overrule s111 such that councils can still only act to facilitate the discharge of its duties. Or to put in another way section 1 is simply a repeat of s111 without the explicit restrictions which are still held over from s111 via section 2.